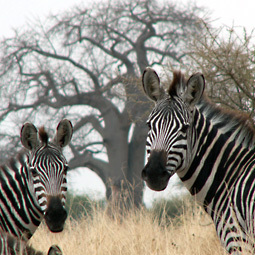 Going on a safari can be the experience of a lifetime. The unforgettable adventure, the images and the memories you take with you when you go back home are both your and our reward. Would you enjoy a luxury tent-safari where you get a really good feeling of being close to nature? Or would you prefer to stay at luxury lodges and relax by the swimming pool when you are not out looking for animals. You can combine the safari in the parks with a favourite sport, such as golf, fishing or diving. You can combine your safari with a cultural experience, climb Kilimanjaro or spend a few days on the beach. 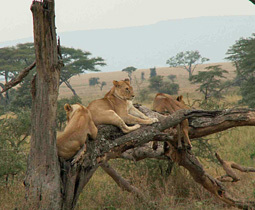 We want to make your Tanzania safari the experience of your life. 'Tailor made' safaris is what we do best. Contact us with your thoughts, dreams and questions and we will get back to you with answers and suggestions. You can contact us by telephone, by e-mail or by mail. We speak Swahili, English, Scandinavian (mostly Swedish), Spanish, German, French and Japanese. Karibu sana Tanzania! Very welcome to Tanzania! Välkommen till Tanzania! Bienvenue vers la Tanzanie! Willkommen in Tanzania! Benvenuto in Tanzania!